Once you get yourself into the student leader groove it’s one of the greatest feelings. Just knowing that you can have such an impact on campus can inspire you to take on more than one leadership role, a pretty common occurrence. In my own experience at Rutgers, I have always liked trying new things and being involved in different communities, which has led me to various roles in organizations, including sport clubs, directly advised groups, and event-based planning committees. Things can get tricky when dealing with multiple obligations, but it is not impossible to do. There are a few things I’ve learned along the way to help de-stress and stay organized. Time Management: Everyone has his or her own way of staying organized. Personally, I use my apple calendar and color coordinate it 8 different ways, then it gets synced to my phone. Anyone else looking at my computer might see a rainbow of confusion, but I see work, meetings, and obligations. Find what works for you and stick with it. There are times where you might have 2 meetings in a row, are volunteering straight from work or are staffing an event that can turn your usual day into a 15 hour involvement extravaganza. Plan ahead for days with heavy volunteering, and manage your time wisely. Don’t forget to eat, sleep, and do the things functioning human beings usually do. Know When to Put Yourself First: Holding down multiple forts can lead to times of stress when leadership commitments mix with exams, personal problems, and unexpected issues. Your health is still more important than anything you can commit yourself to. Find what helps you de-stress and keep it easily accessible. Play your guitar, go running, binge watch Doctor Who episodes, whatever your thing is that helps you relax, do it. No one is a machine, and no one wants to see you self-destruct, so stay involved, but stay healthy while doing so. It’s important to remember that you are a person first, not just a combination of your titles. Ask For Help When You Need It: Sometimes being a student leader also means knowing when to let someone else take the lead. What I mean is that there are times that you might not hold the solution to the problem even though you are the President or Treasurer, etc. Look to your committee, team, general members, and your advisors, especially, if you need help. A common mistake I made was thinking that since I took on these positions, I alone was going to fulfill what I needed to get done. The organization you are apart of is bigger than just you. If you remember that, and the reason behind why your organization exists, it makes it a lot easier to ask for help, before you drown. Holding multiple positions is hard, but not impossible. So take that nap when you need it, ask for help, and plan out your weeks, because if anyone can do it, you can. 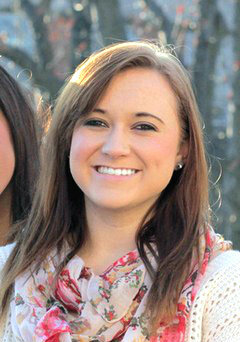 Amber Danku is a senior double majoring in English and Communication with a Certificate in Creative Writing. Amber works as a Consultant with New Brunswick Computing Services on Livingston Campus. In the past, she served as the Promotions Captain for the Mark Conference and as a New Student Orientation Leader. Currently, Amber is the President of the Club Gymnastics Team, an Events Chair for the Off-Campus Students’ Association, and is on the planning committee for Geek Week. This Post was tagged Geek Week, leadership, Livingston Campus, Organization, Rutgers University, studentleaders, Time management. Bookmark the permalink.